All our courses are available in English. For our two courses that are booked most frequently you can find more informatie below. If you want more information about one of our other courses (visible in the menu on the left) please call us on 020 – 2614 195 and we will provide you with all the information needed. Would you like to guide a Scrum team by yourself soon? This is possible thanks to our Scrum Master training. 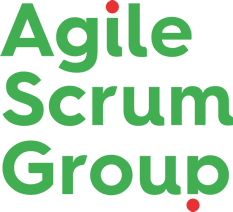 During this two-day training, you will learn how to correctly master the principles of Scrum so that you will be able to lead projects by yourself. Are you or are you going to be Product Owner of a non-IT scrum team? Then this training is tailor-made for you. This is because we are specialised in Scrum for non-IT environments. In our Product Owner training, you will learn how to create more value in your projects in less time.